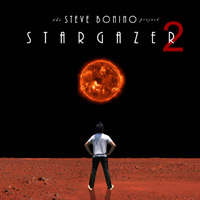 The multi-talented and multi-instrumentalist Steve Bonino returns to continue his sci-fi space opera with Stargazer 2. If you recall from the first album, having made a mess of planet Earth, colonists traveled to another planet, Proxima b in Alpha Centauri. Now 20 years later, the colonists have built a huge biodome, but at the expense of dwindling resources. They're now forced to explore Proxima b, a planet where one side is wholly dark, the other side in complete sunlight. Where the two intersect, the explorers find the ruined remanants of a lost city and civilization, and some curious and familiar writing. Upon careful translation, this civilization, because of damaging technology, had to bail on its planet, Proxima b. Whereupon, they discover and travel to a blue planet third from a brilliant yellow sun. Can you guess what that planet is? Tune in for another episode of Ancient Aliens. Also, like Stargazer 1, the second part of the tale is told with Bonino's intriguing and entertaining melodic progressive rock. Essentially, it's a lively fusion of crisp piano, spry acoustic and electric guitar work, embellished with synths, often symphonic, and wrapped in fine melody and rock groove. Along the way, Bonino adds some narration to explain the story. Mostly, I found Bonino's compositions to offer two interesting things. One was to blur the line between prog rock and jazz fusion, notably within Under The Dome and the bit heavier Hyperspeed Overdrive. The second was the natural ethereal atmosphere that lilts and lingers through the tunes giving the space opera a near Seventies space rock vibe. Suffice to say, Stargazer 2 is a fine follow-up to its predecessor. Bonino's curious space opera continues, once more wrapped up in his playful and entertaining melodic progressive rock. Recommended. Stargazer 2 is a fine follow-up to its predecessor. 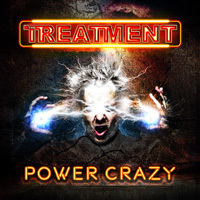 Steve Bonino's curious space opera continues, once more wrapped up in his playful and entertaining melodic progressive rock. Recommended.